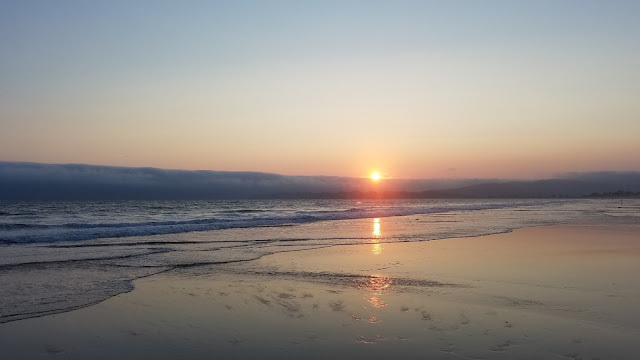 Every summer in California should include at least one day to the beach. 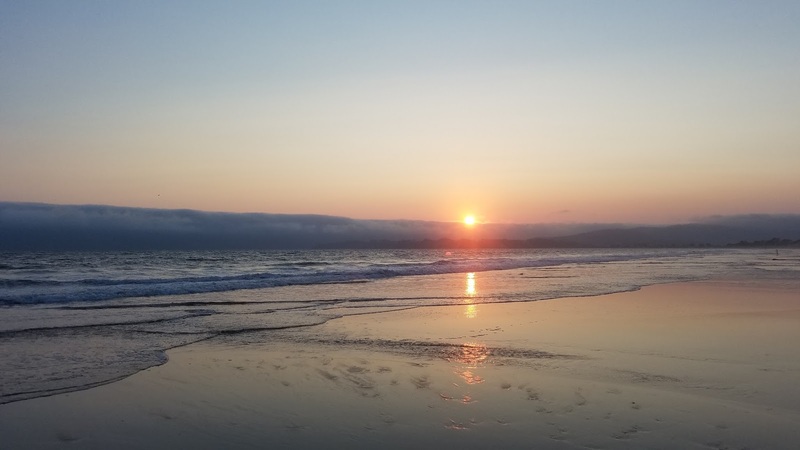 Whether it's fly fishing the surf, laying out on the sand, or admiring the bikini babes stroll by, the summer coast is what the great state of California is all about. Each visit to the beach puts me back into one of my favorite classrooms, Fly Fishing 105 - Surf Fishing. 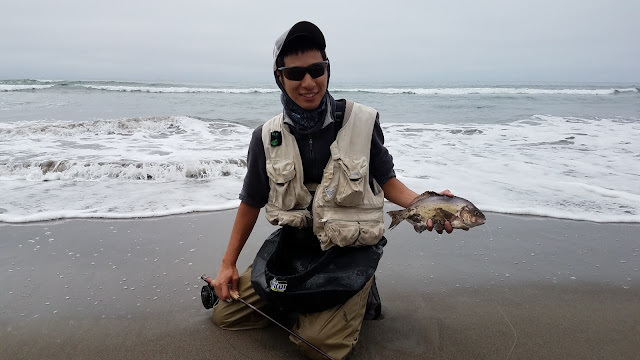 As always surf perch were my main target however I was keeping my fingers crossed for the opportunity to hook into the other numerous species that occupy the California surf. 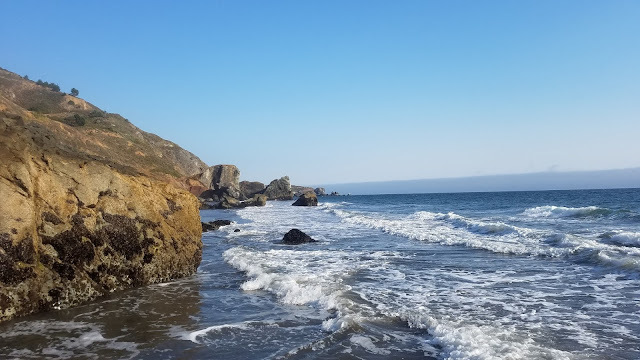 The California Halibut is the fish I want to catch the most but you never know what you're gonna catch out on the surf. The day begun with mild surf and a great overcast. After setting up the sun tent, eating lunch, and enjoying the beach for a few minutes I rigged my rod and set out for the surf. I was able to find a nice hole about ten feet away from our stuff and immediately started hooking into fish. 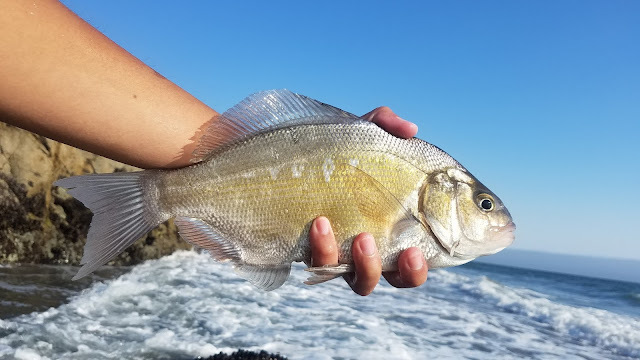 Most of the fish I caught were barred surf perch that were about the size of my palm or bigger. Some of the bigger fish fought pretty hard which often surprised me when I hauled them in only to find out that they were perch. Most of my fish came off the Simple Shrimp. The tide hit it's high peak at around 2:30PM and the sun came out at around 4PM. Both factors did not hinder my ability to continue finding fish. I've come a long way from knowing nothing about the surf to being able to pin-point where the troughs and holes are. I must have caught over two dozen surf perch this trip. Unfortunately no stripers or halibuts but it was a great way to spend a summer day. I finally caught my first fish in the surf last summer. A baby Striper, but I'm counting it. Any fish on the surf is a good fish I say!